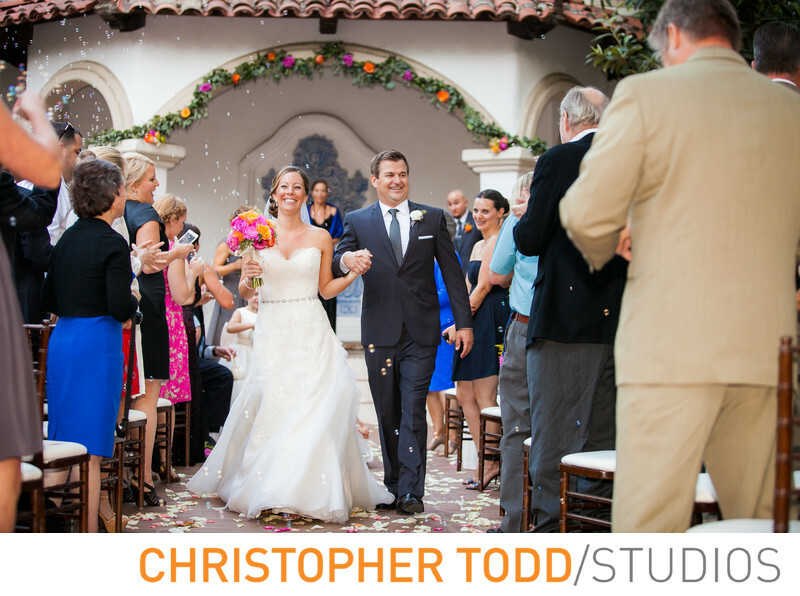 Bride and Groom walk down the aisle during their orange county wedding at Rancho Las Lomas. Photography by christopher TODD studios. 1/100; f/2.8; ISO 500; 70.0 mm.